Click here to watch all of our episodes. 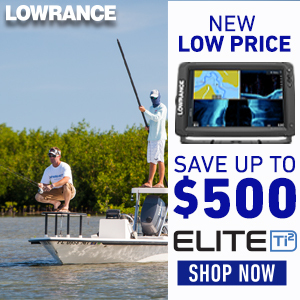 Lowrance has done it again and the bar has been raised! The new Carbon Series is incredible. I just put the biggest 16 inch monitors on my new 24 Yellowfin and I could not be happier. As far as I am concerned, the biggest improvement is the brightness of the screens. I can see these screens in mid day light with my sunglasses on. No need to take off the glasses to be able to see the screens. To me, that is a major improvement. Newer PostQuestion From The Blog: Kettlebells?